Hi Folks! First of all we would like to thank you for visiting our page! Below you will be able to find all Word Whizzle Level 473. This is the newest game developed by Apprope who are also known to have developed WordBubbles and WordQuest. 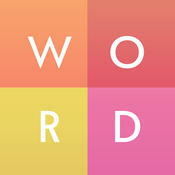 The idea behind the game is really simple, you are given various word grids and you have to guess the correct word. You have a hint on each of the levels to help you out.